Christmas has just finished and our wallets are probably just about empty. With rising prices and the New Year just around the corner, we need to learn to do more with the money we have. The key to building wealth in this financial financial environment is to save more and spend less. Though this requires making a plan and sticking with it! 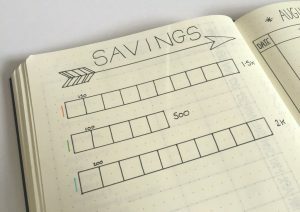 A great way to prepare for the New Year is with a spending plan which I personally believe is the best thing I ever did for myself and my family. Setting financial goals is the first step towards getting the financial peace of mind you are searching for. A spending plan is not the same as a budget, it’s a living strategy that helps you know exactly where your money is going and enables you to make adjustments as needed. It encourages new spending habits and ways of thinking about your financial future. What are you prepared to do in 2017 to be different? The first step to recovery is admitting where our financial problems lie. There are some common consumer problems we face such as rent being too high, spending too much around Christmas and credit card interest rates. However the truth is, many of us are not savers. We all have a lot of bills to pay and end up spending a considerable amount on other items and luxuries that improve our lifestyle. These things are sometimes only a temporary fix. We live in an environment of consumers, and as such we are often caught up in the bigger is better syndrome, or feel the need to own the best and brightest gadget as soon as it comes out. For instance, in the New Year, making more effort to check our credit card statements for errors, halving gifts with friends to cut the cost, give time instead of gifts, saving 10% of your income for investing and not making the minimum payment on your credit card. We could look at the negative spending habits we have, but let’s turn these into opportunities for a solution. What hopes and dreams do they have for the year ahead? Is there something that you really want to achieve financially in the New Year? It doesn’t have to be anything big, and can be as simple as saving a few extra dollars each week. Write up a list of your current expenses and income and create a section in each that includes your financial goals. Have a specific number attached to each of your goals in a new column. Look back at each of your current expenses and ask yourself if they really support your new goals. For instance, having a reliable car probably supports your family getting around and getting to work. However, does a more expensive luxury car with higher insurance payments really support your savings goal? Without thinking too in depth, mark those those expenses that you think don’t meet your goals. How will you achieve your hopes, dreams and financial goals? What changes do you think you could you make to your current spending habits to support your goals and give you more peace of mind financially? Start with the simple items, things you don’t really value and that don’t support your goals or won’t be beneficial in the future financially. Next, look at expense items that have some value to you but don’t really support your goals. Fill in a column for expense items that won’t be changing, such as your mortgage. Add this up. After, calculate your income and add together your new total expenses. You can work out what your new total income is (what you have left to spend) and compare this with your old figure. How did you go? Don’t worry, most of us don’t get this the first time so don’t give up! Keep using this process as it allows you to visualise your spending strategically. Join the spending plan program now to get exclusive access to resources that allow you to save even more!